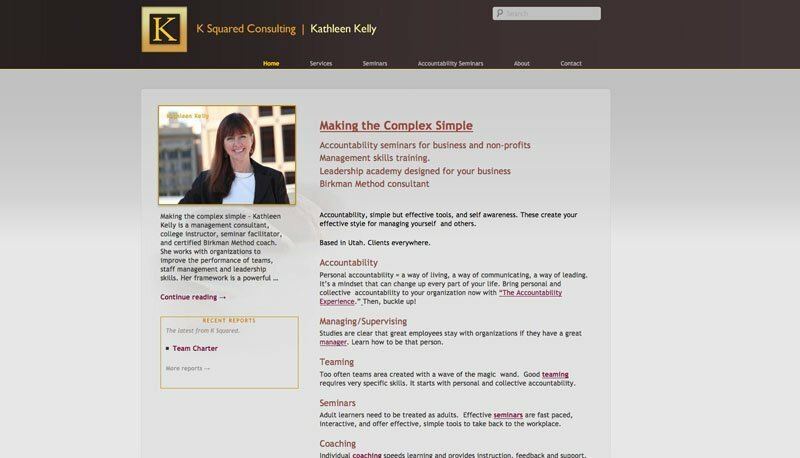 K Squared Consulting is Kathleen Kelly, a management consultant, college instructor, seminar facilitator, and certified Birkman Method coach. She works with organizations to improve the performance of teams, staff management and leadership skills. 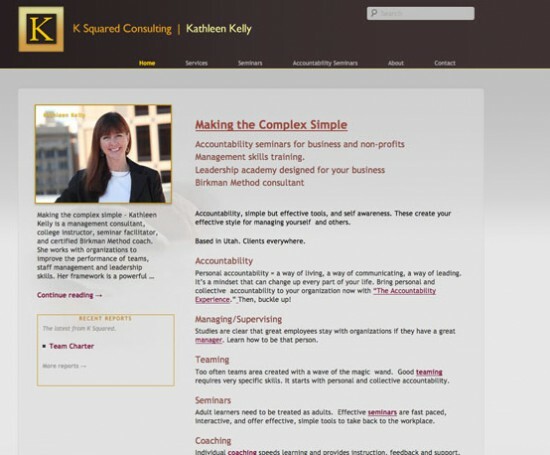 Build a web presence for KSquared and Kathy Kelly that reflected her professionalism, as well as her grounded enthusiastic approach. Have it be easily self-maintained and have it accommodate the various aspects of the business. A logo was designed and colors chosen giving the site a rich and anchored look. Photos of the beloved Southern Utah landscape were used in the footer as inspiration. Custom post-types were created for homepage features.